How can I add a deep link to my ads? 1. Navigate to the 'Create ads' tab and click on 'Mobile app' in the left hand side bar. 2. 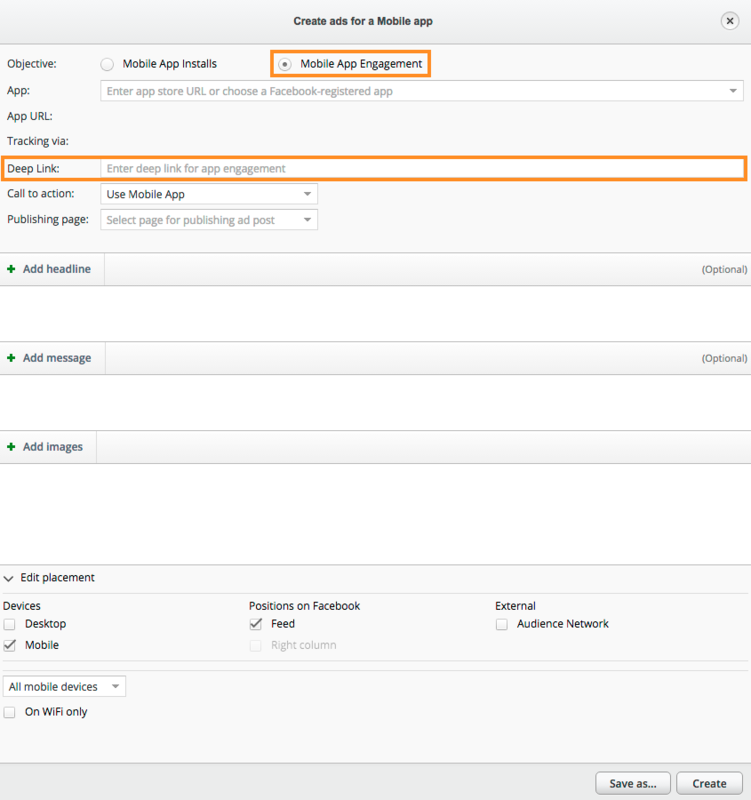 Once the pop up window appears select the 'Mobile app engagement' objective. 3. Next, enter your deep link in the 'Deep link' field.